Being a stay-at-home mom is one of the toughest jobs out there. You essentially work 24 hours a day, seven days a week without a paycheck. While all moms are superheroes, these moms pushed themselves to even greater lengths. In between chasing toddlers and shuffling kids off to soccer practice, they found the time to start their own businesses from home, which went on to be wildly successful. 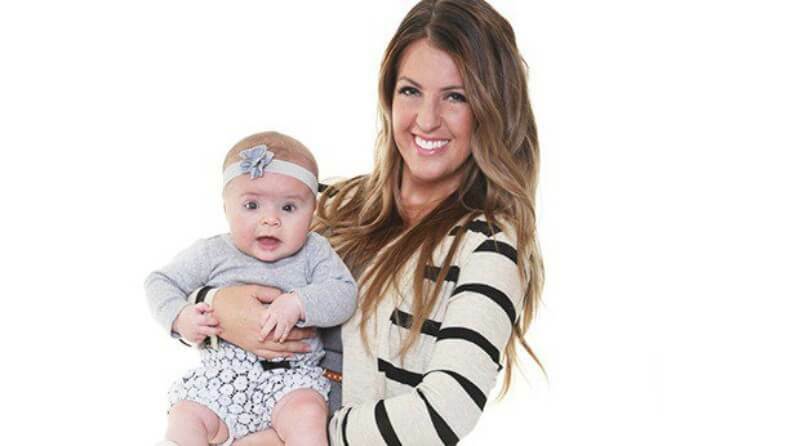 Read on to learn about these moms’ inspiring stories and how they added “entrepreneur” to their resumes! Did you know the delicious chain restaurant Chicken Salad Chick was started by a stay-at-home mom? Debra Cohen didn’t start out as a stay-at-home mom—she actually had what many of us would consider a dream career. She worked as the Vice President of a Spanish-language aviation magazine which was based out of Manhattan but required that she travel around the world to exotic locations. But while in Paris on a business trip, she found out something that would change her life—Debra was pregnant with her first child; a daughter. Soon she had to decide whether to leave her jet-setting career behind and change paths as a stay-at-home mother. Debra and her husband were new parents and had also recently purchased a home. They ended up with the interesting problem: a pregnant squirrel got in the attic and they were unable to get rid of her. After going through multiple contractors, they finally found one who taught them the proper way to displace a squirrel by moving her across the water. A lightbulb went off for Debra and she began her own company called Homeowner Referral Network which connects various contractors and their services to homeowners. 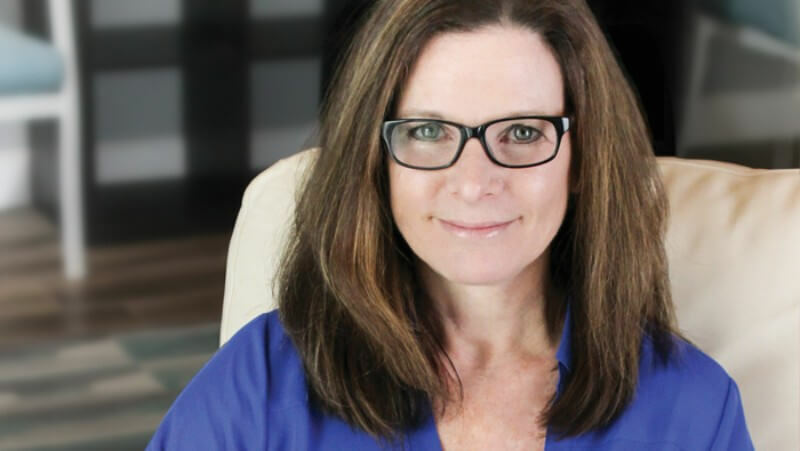 Her home business has now grossed more than $4.5 million and has allowed Debra to create her own schedule around her kids. 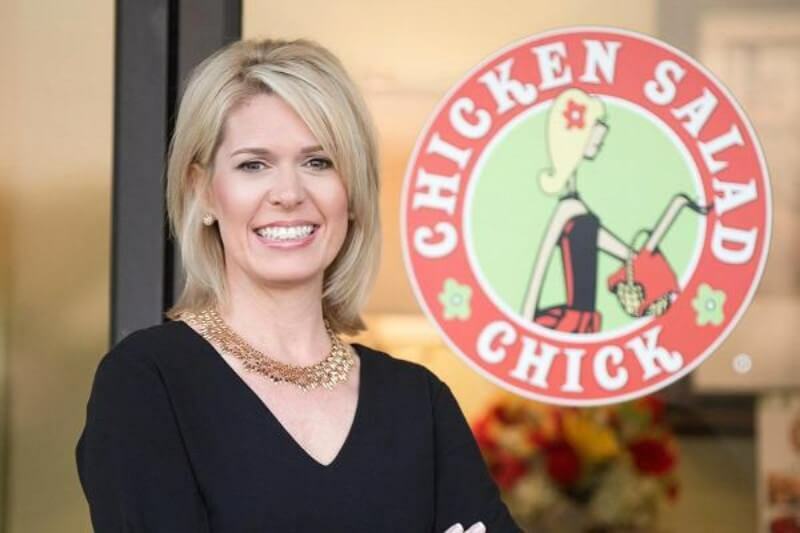 Stacy Brown never intended on ending up in the restaurant business, but her love of chicken salad set her on a unique path. She also had no idea that her at-home venture would turn into a franchise that earns more than $52 million in revenue each year. While working as a stay-at-home mom with three young children, Stacy began looking for a way to help earn a living for her family. Stacy said, “I was a Southern cook and I happened to be obsessed with chicken salad. When I say that people always think I cooked it a lot. But I never made it. I only ate it.” Once she dove into concocting her own versions of the Southern staple, it was a total game changer. Stacy began creating several different types of chicken salad including unique takes on the dish with additions like jalapenos and buffalo sauce. She tested out the chicken salad on friends and neighbors and used their feedback to better her recipes. Eventually, Stacy began delivering her own chicken salad from her kitchen to customers in the Auburn area. Soon her customer base grew by word of mouth and it seemed that everyone wanted some. But Stacy experienced a setback when a health inspector said that selling from an unregulated kitchen was prohibited in Alabama. At that point, Stacy had reached a crossroads—either she had to go back to work or make her venture a legitimate restaurant. She chose the latter. 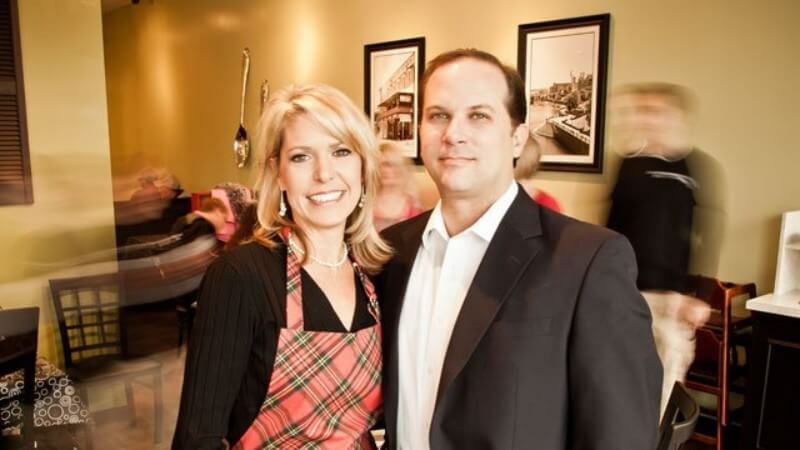 Stacy’s friend Kevin Brown, who later became her husband, helped her start her business and it was an immediate success. 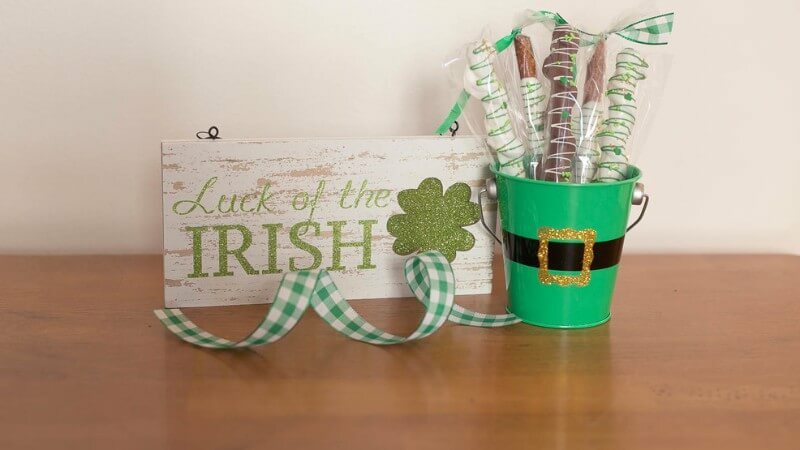 Soon, multiple locations opened and they began franchising the business. Stacy isn’t the only stay-at-home mom who started a successful business from her kitchen. Like many other mothers faced with a similar choice, Rochelle Randazzo decided to leave her sales advertising job at the New York Post, to care for her newborn baby. Although she told the Huffington Post, “I never in a million years imagined not having a job. But one of us had to make a choice.” Rachel got creative while at home, which ended up creating an extremely successful business. It probably didn’t hurt that she already had some great sales skills. Rachel, of Italian descent, loved to cook Italian food. She used her love of cooking to create her very own delectable homemade pasta sauce. Soon she was hosting parties and showing off her handcrafted sauces. Ultimately, a natural food chain employee came across some of Rachel’s sauce and the rest was history! At only 27 years old, Toni Crews began experiencing blurred vision and horrible headaches. She was also a young mother and in the prime of her life, so she didn’t expect to be diagnosed with a rare form of cancer in her tear gland. 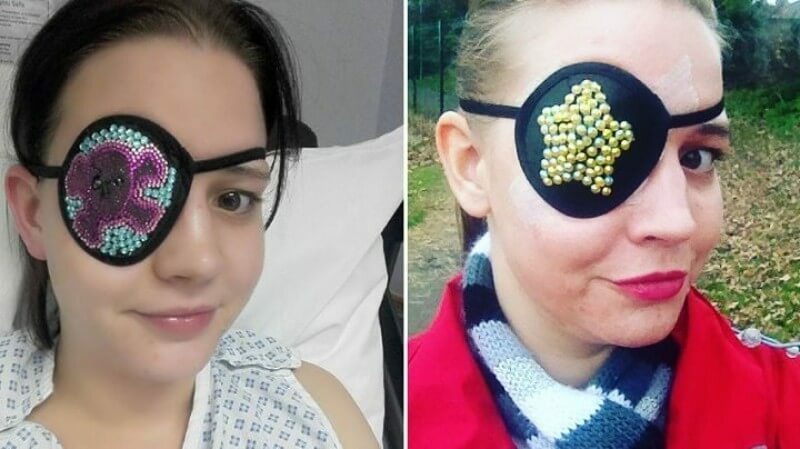 After discussing the possible outcomes, her doctors informed her the best rate of recovery was to remove the eye. Of course, being a young mother, Toni decided to do whatever it would take in order to have a long life. She opted for the eye removal. She could never have imagined that such a life-changing event would also produce a life-changing opportunity. During her recovery, which consisted of wearing dressings and waiting for a prosthetic to be made, Toni decided to glam up her look on her own. 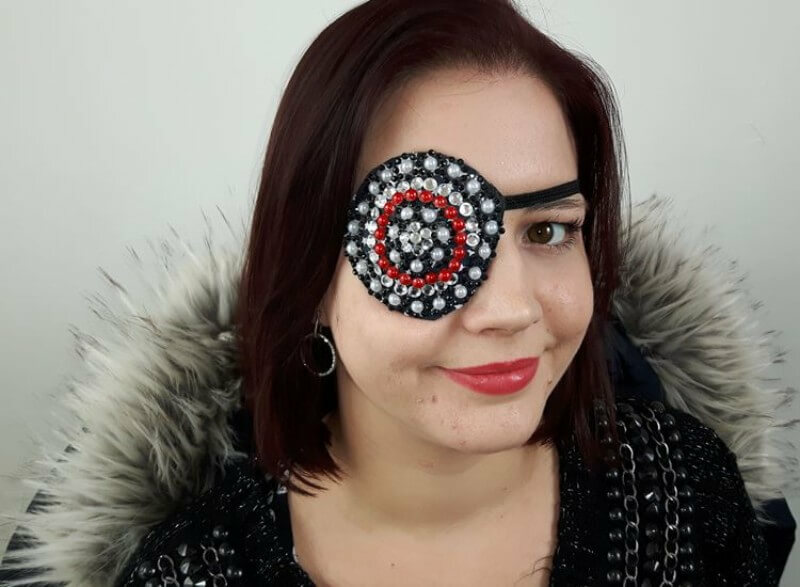 Using a medical grade eye patch from the doctor, she created a bedazzled eye patch using Swarovski crystals and a personal flair for design. Her new look caught the eye of a doctor who suggested she might sell them and make a business out of it. Toni decided to go through with the idea and started an Etsy shop called Bling-k of An Eye. Toni aims to lift others’ spirits with her beautiful creations and also hopes to inspire confidence in the wearers. Jakki Liberman first founded the company Bumkins Finer Baby Products after being disappointed with diaper options that were on the market. Neither the old school cloth diapers nor the new un-environmentally friendly diapers were appealing to her. Instead, she decided to create her own alternative which was somewhat of a hybrid. With a soft absorbent inner layer, a waterproof cover, and Velcro instead of safety pins, Jakki created the Bumkins diaper. Although at the time it was an invention just for her and her baby, it soon became a hit with other mothers. As the business began to grow she also launched other items like bibs and bags. Now 25 years after that initial launch, the company is still as popular as ever. She has even teamed up with major brands like Disney and DC Comics in order to include the beloved characters on the children’s products. After Erin Schurtz found out she was expecting her first bundle of joy, she was determined to be as healthy as possible. She began to research nutrition and prenatal care. Although the majority of prenatal supplements offered the typical folic acid, calcium, and iron, she found that many were lacking an additional fifteen grams of protein. But when she found most regular protein shakes were not recommended for pregnant women, she decided to fix that. Erin then teamed up with a friend and OBGYN Yvonne Bohn. The two set out a journey to find a way to combine protein and prenatal vitamins to offer the best option for pregnant women and Mommi Prenatal Protein Shake was born. Erin’s drive for health also became a booming business. 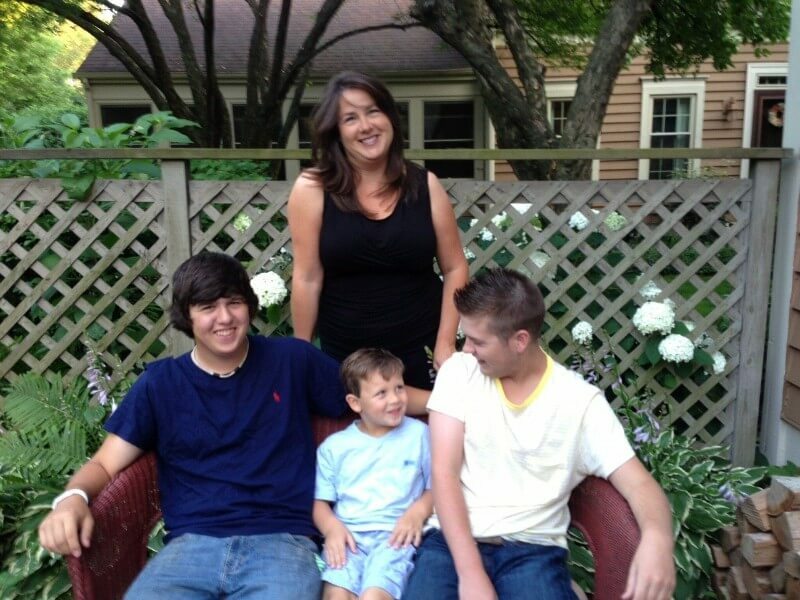 One Labor Day Weekend, Michele Welsh and her husband took their three young children to an amusement park. Michele was absolutely terrified at the idea of possibly being separated from them so she decided to write her cell phone number on their arms in case they got separated from her. She told her young boys that they needed to stay close but if they did get separated to call the number on their arm. However, the regular old ballpoint pen just didn’t do the trick and she had to re-write the number multiple times throughout the day. It was then that Michele had her lightbulb moment – temporary tattoos — and SafetyTat was born. Today, her business which was spurned out a mother’s love and concern has grown to unimaginable success! In 2013, Sally Jane Waite was 31 years old and seventh months pregnant with her first child. 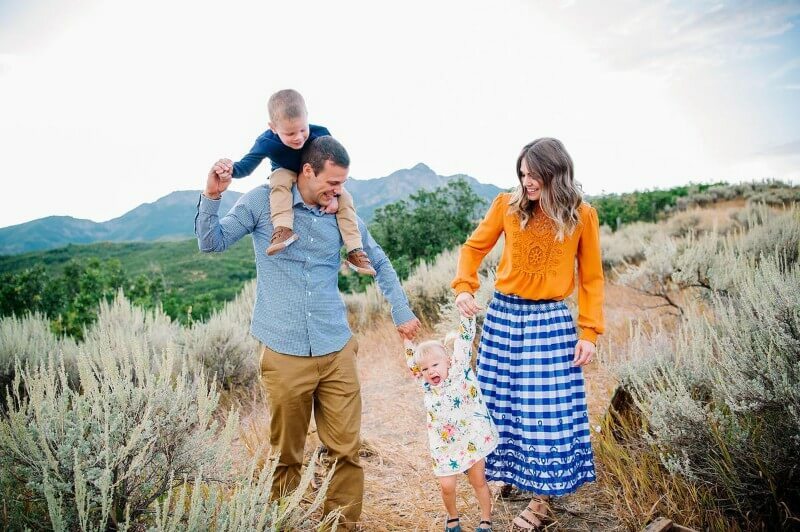 She was also given totally unthinkable news for a pregnant woman to hear – she was diagnosed with Stage IV cancer and told she old had two years to live. Sally was also in the beginning stages of launching her own jewelry line called Sally Jane. Despite the odds being stacked against her, she decided to persevere. Over two years, Sally underwent various surgeries and intensive treatments and yet she remained positive. She also promised herself that she would go ahead with her jewelry line. Sally is now cancer free, her son Sam is healthy as can be and she launched her successful jewelry line! Nowadays, her company also donates a portion of its profits to aid cancer research. In addition, the company donates a portion of its profits to cancer research. 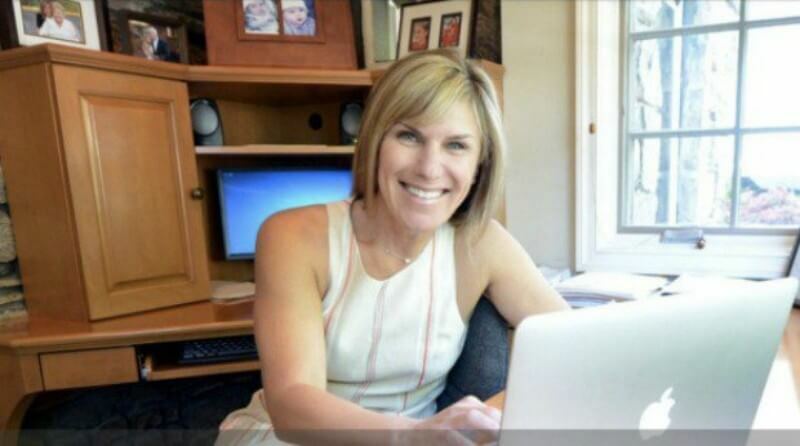 In 2009, Lisa Greenwald gave birth to her first son. It wouldn’t take long for Lisa to realize a common truth about babies – they love to put everything in their mouth. Of course, a favorite for babies is any kind of dangling jewelry. However, most jewelry is either delicate and could break off causing the baby to choke. Lisa came up with the idea for Chewbeads—a line of necklaces and bracelets that are both beautiful to look at and also soft and non-toxic. Now you can look chic and your baby can have something safe to chew on, a win-win for moms everywhere. Nine years later, the business is still running strong and Lisa has an entire line that also includes other regular baby items including rattles and bath toys. One of the most popular brands of nail tape used today is called Kiesque Liquid Palisade. Mom of three, Jaqueline Smith, found it very difficult to give herself a good manicure without totally wrecking it, in the midst of chasing after her young kids. Liquid Palisade allows you to give yourself a manicure without creating a huge mess on your fingers. You apply around your fingernail and simply peel it off when your nail polish is dry. After starting off as a personal solution, Jacqueline now has her own beauty brand called Kiesque which has become extremely successful. Liquid Palisade is sold internationally and has even garnered attention on huge programs like the Today Show and seen in magazines like Cosmopolitan and Allure.